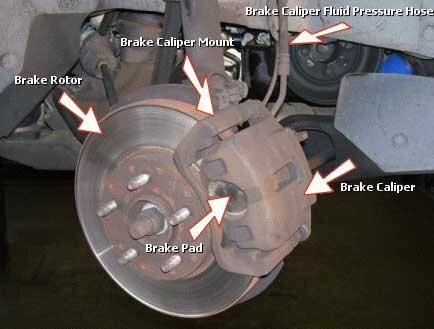 BRAKE REPAIR BRAKES LINDEN NJ BRAKE JOBS Quality Service, Fair Prices on Brake Repair. We Fix Brakes! Your #1 source for quality brake repair, in the Linden NJ area! Fair pricing and honest reliable service. Please give us a call, we'll treat you right! "Conveniently located across from the Linden NJ Train Station!" BSE Automotive gladly serving all of NJ: Aberdeen, Allendale, Allentown, Asbury Park City, Atlantic Highlands, Barnegat, Basking Ridge, Bayonne, Beach Haven Bedminster, Belmar, Bergen, Berkeley Heights, Bernards Township, Bloomfield, Bogota, Boonton, Bradley Beach, Brick, Brielle, Burlington, Caldwell Township, Camden, Carlstadt, Cedar Grove, Cedar Run, Chatham, Chester, Cliffside Park, Cliffwood Beach, Closter, Convent Station, Cranford, Crestwood Village, Deal, Denville, Dover, Dunellen, East Brunswick, East Rutherford, Eatontown, Edison, Elmwood, Englewood, Englishtown, Essex Fells, Fair Haven, Fairfield Township, Fanwood, Farmingdale, Florham Park, Fort Lee, Franklin lakes, Franklin, Freehold, Glasser, Glen Ridge, Green Brook, Guttenberg, Hackettstown, Hamilton, Hanover, Harrison, Hasbrouck Heights, Hawthorne, Helmetta, Hibernia, Highland park, Hightstown, Hillsdale, Ho-Ho-Kus, Holmdel, Hopewell, Hudson County, Independence, Ironia, Island Heights, Jamesburg, Jersey City, Kearny, Kenvil, Kinnelon, Lake Hiawatha, Lake Parsippany, Lakehurst, Landing, Laurence Harbor, Lawrence, Lebanon, Leonia, Liberty, Linden, Little Falls, Little Silver, Loch Arbor, Long Beach, Long Hill, Madison, Manahawkin, Manasquan, Mansfield, Manville, Marcella, Martinsville, Maywood, Mendham, Metuchen, Middlesex, Midland Park, Millstone, Milltown, Mine Hill, Monmouth County, Montclair, Montvale, Moonachie, Morganville, Morris Plains, Morristown, Mount Freedom, Mount Tabor, Mountainside, Neptune City, Newark, New Brunswick, New Providence, Newfoundland, North Arlington, North Brunswick, North Caldwell, North Plainfield, Norwood, Oak Ridge Morris, Oakland, Ocean Gate, Ocean, Old Bridge, Oradell, Oxford, Paramus, Parlin, Passaic, Peapack Gladstone, Pequannock, Pine Beach, Piscataway, Plainsboro, Point Pleasant Beach, Pompton Lakes, Princeton, Rahway, Ramsey, Raritan, Ridgefield, Ridgewood, River Edge, Riverdale, Robinsville, Rockaway, Rockleigh, Roosevelt, Roselle, Roxbury, Rutherford, Saddle River, Scotch Plains, Sea Girt, Seaside Park, Ship Bottom, Shrewsbury, Somerville, South Brunswick, South Orange, South River, Sparta, Spring Lake, Springfield, Summit, Tenafly, Tinton Falls, Totowa, Trenton, Union Beach, Union City, Union, Upper Saddle River, Verona, Waldwick, Wallington, Waretown, Warren, Washington, Watchung, Weehawken, West Creek, West Milford, West Orange, West Windsor, Westwood, Whippany, Whiting, Wood-Ridge, Woodcliff Lake, and Yardville Heights. As well as all 50 States: Alabama, Alaska, Arizona, Arkansas, California, Colorado, Connecticut, Delaware, Florida, Georgia, Hawaii, Idaho, Illinois, Indiana, Iowa, Kansas, Kentucky, Louisiana, Maine, Maryland, Massachusetts, Michigan, Minnesota, Mississippi, Missouri, Montana, Nebraska, Nevada, New Hampshire, New Jersey, New Mexico, New York, North Carolina, North Dakota, Ohio, Oklahoma, Oregon, Pennsylvania, Rhode Island, South Carolina, South Dakota, Tennessee, Texas, Utah, Vermont Virginia, Washington, West Virginia, Wisconsin, and Wyoming. Auto Repair, Brake Repair, Muffler Repair, Radiator Repair, Car Repair, Windshield Repair, Tune-Up. We also sell and install trailer hitches!